Madonna's Instagram of her 22-year-old daughter, Lourdes Leon, on the beach, 2019. 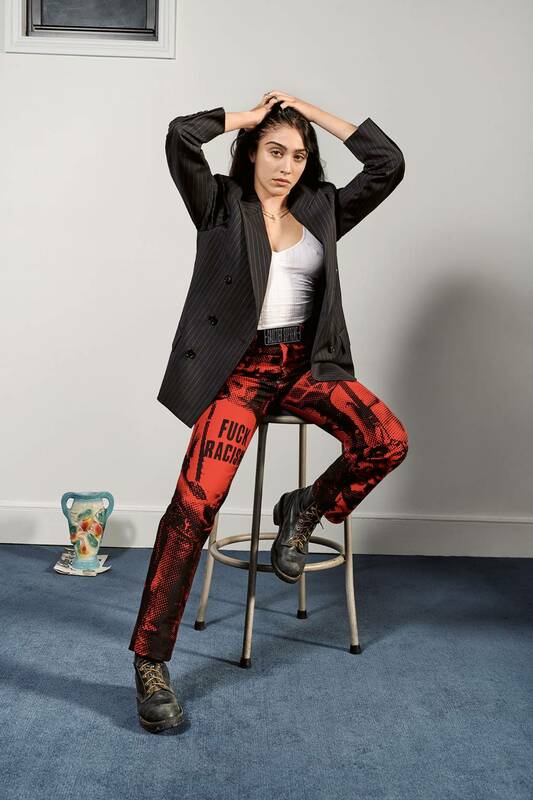 Nearly 30 years after Madonna tapped Jean Paul Gaultier to design the costumes for her Blond Ambition tour in 1990—the highlight of which, of course, was a cone-bra bodice—her daughter Lourdes Leon is following suit. On Tuesday, the 22-year-old was revealed to be the face of Gaultier's return to that era, in honor of his new collaboration with Supreme. In keeping with Leon's status as fashion's quietest It girl, so far her appearance in the campaign has been relatively low-key. (Just like Leon herself, for example, the official imagery of her photographed by Collier Schorr has yet to officially make it onto Instagram.) Around midnight on Tuesday, though, Supreme did share another image from the campaign, which features the artist (and past Supreme collaborator) Sancheeto outfitted in a blue and red coat covered in plaid mohair, and a mustard yellow ensemble patterned with motifs in halftone. Madonna wearing a cone bra designed by Jean Paul Gaultier while performing during her Blond Ambition tour in 1990. Lourdes Leon looked prim in proper in a dark gray coat, navy skirt, and mary jane-style shoes while accompanying her mother to the Versace AT The V&A Party in 2002.